You have spent a lifetime dreaming of this time, a time when you are free of restrictions, free to indulge your dreams of the open road. Travelling on highways, and byways. Stopping where the view is breath-taking, and you have the spot to yourselves. Staying for however long you want, there is no call on your time. Meander through this glorious country visiting festivals and markets. Stroll along beaches and main streets, its all yours to explore. Finesse the art of campfire lighting and cooking, enjoy making new friends as you share a tale round the fire. Do something different, be brave, be free, surprise yourself, and live every moment. Travel in an Explorer Motorhome and get back to you. 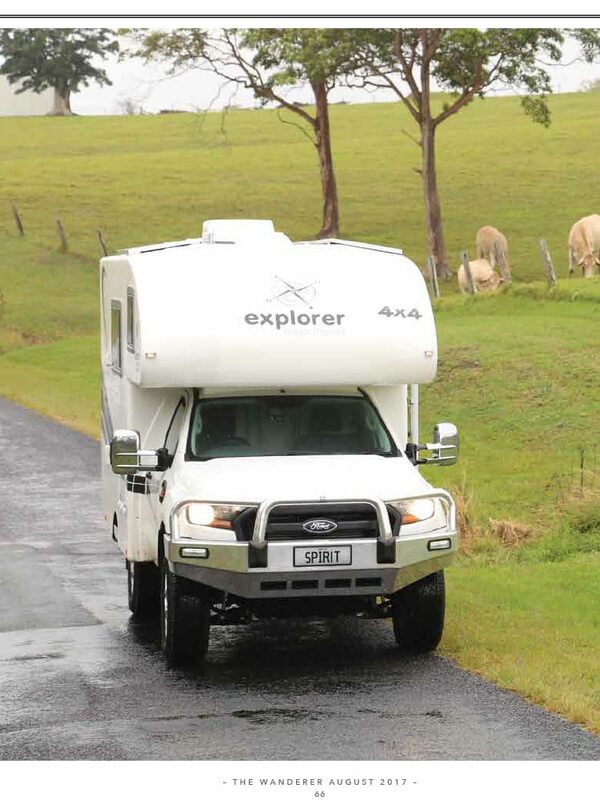 For your journeys of a lifetime an Explorer 4WD Motorhome is the vehicle of choice. 4WD, strong, built from a one piece fibreglass body so no seams to leak, these motorhomes will take you off road with ease, visiting out of the way places that other motorhome owners can only dream about in total comfort. Built in our factory in Queensland, our models Vision and Spirit will fit into a normal size car park space, making them a versatile choice, easy to drive with the capability of going down those outback tracks. The build of our campers is of the highest quality with a five-year structural warranty for your peace of mind. 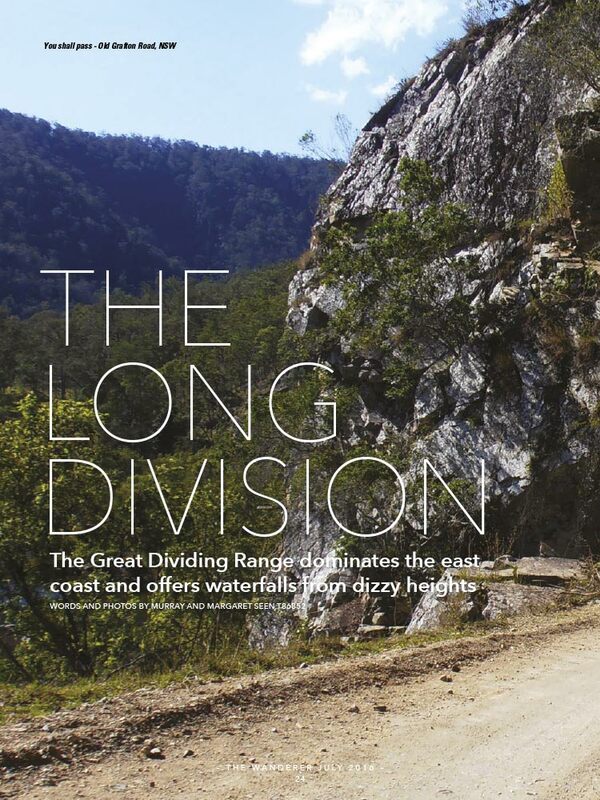 The Discovery is the first 6 wheeler 4WD Luxury motorhome in Australia with a one piece fibreglass body. With an option for 6WD - the only one in Australia, an extended body, and long range capabilities, the Discovery is the choice for the ultimate adventure. Explorer Motorhomes have motorhomes to suit the traveller who wants to experience more of Australia’s amazing outback. To be able to travel through this magnificent country at your own pace and camp wherever you want. Whether you are buying your first motorhome or are an experienced off road traveller, who is looking to buy a quality model capable of taking you from the bitumen to the roughest tracks in comfort. We have three different models, and options to choose from for your custom built motorhome. We are a 100 % Australian owned company bringing many years of experience to your unique motorhome and are the only motorhome builder to carry the 'Australian Made' logo. Each and every one is hand built by our experienced craftsman, at our factory in Clontarf Queensland, utilising the latest techniques. Built on a one-piece fibre glass mould so there are no leaks, they are stronger, lighter and have exceptional insulation against the different elements you may encounter on your adventures. Malcolm Street is one of Australia's best known Automotive Writers. He reviews motorhomes for magazines like The Wanderer and Caravan World. The Explorer Vision 4×4 motorhome is travel ready. The Explorer ‘Spirit’ hits all the right spots for those wanting to get off-road. Why buy a 4WD Motorhome? 4WD motorhomes will give you the power to climb steep roads, navigate rocky and muddy terrain, or cross partially flooded flatlands. This might sound too extreme for an ordinary outdoor adventure but driving across Australia is not your average cross-country exploration. You want a motorhome that is not only comfortable and spacious but also has the horsepower to bring you from point A to point B with no difficulty, regardless of the condition of the road and/or weather. Vacationing in a motorhome is exciting, more cost effective, and gives you a lot of freedom on how you spend your time out in the great outdoors. Exploring an expansive country like Australia in a motorhome would enable you to experience your big adventure in a vehicle that can handle rough terrain and would stand up to numerous challenges like long drives, heavy downpours, and sometimes overbearing heat from the sun. A good option to answer all of these obstacles is to buy into the idea of 4WD motorhomes – a sturdy motorhome option that has the power, suspension, and strength to brave the rugged Australian outback. 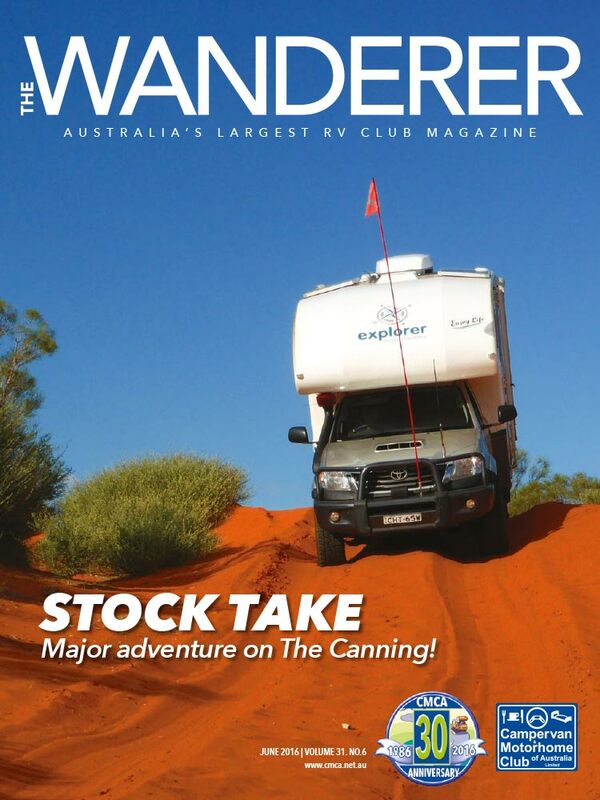 These are 4WD motorhomes for sale Australia can count on. Built in Clontarf, Queensland, Explorer Motorhomes is the company that prides itself on providing luxury, quality motorhomes Australia wide. 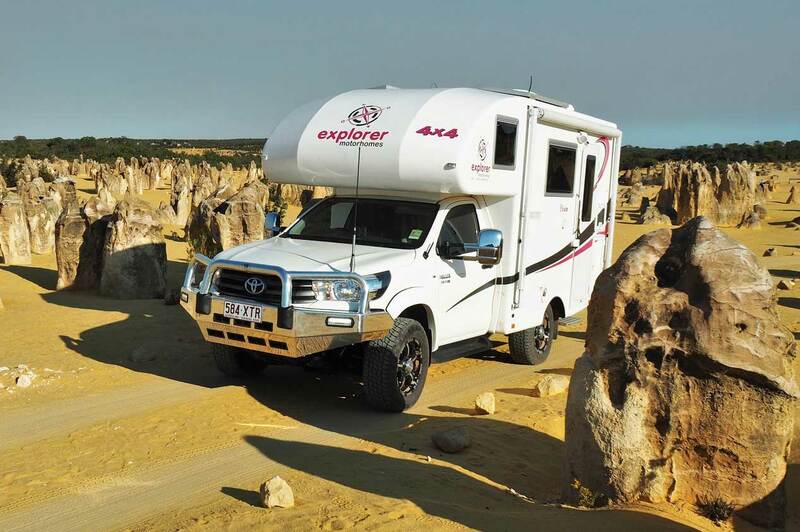 Offering unrivalled experience and expertise, Explorer Motorhomes offer customers specialised vehicles that are suited for the hard-to-reach areas in Australia. Their Motorhomes are built on the Ford 4x4 Ranger chassis plus the Toyota Hilux 4WD, Diesel Automatic. The body of the motorhome is made from fibreglass, moulded using a proven and tested technique, 30 years experience, to ensure strength and stability even when driving in very rough terrain. This seamless fibreglass body means there are no water leaks to worry about. There are also no metal or aluminium framing making it very light compared to similar vehicles that are made from conventional methods. The secret to having manoeuvrable 4 wheel drive motorhomes is building it up on a standard-sized vehicle. This makes it easier to park. With one of our luxury Explorer motorhomes, it will feel like you are driving and parking a normal vehicle. If you are planning to cover a route in Australia that lets you explore the countryside and major cities, this vehicle can easily fit in where you want to go and stay for the night. With an overall width of 2.1 metres and a length of 5.8 metres, this motorhome is very popular. From the Toyota Hilux SR 4WD to the Ford Ranger 4WD, Explorer Motorhomes has a vehicle that will suit your own specific needs. All of our motorhomes come with a 5-year structural warranty giving you peace of mind with your purchase. 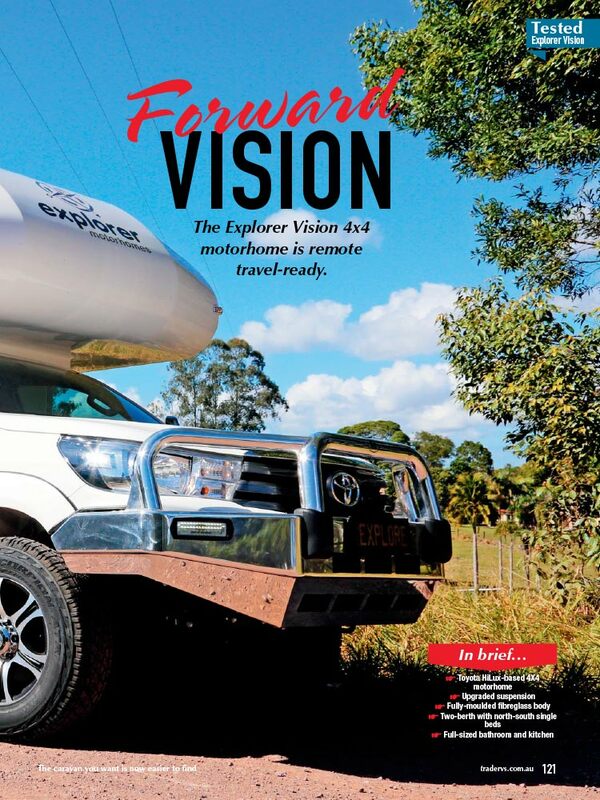 Get in touch with us today and let’s get you on the road, in a Motorhome 4WD Queensland. 4x4 motorhomes will give you the power to climb steep roads, navigate rocky and muddy terrain, or cross partially flooded flatlands. This might sound too extreme for an ordinary outdoor adventure but driving across Australia is not your average cross-country exploration. You want a motorhome that is not only comfortable and spacious but also has the horsepower to bring you from point A to point B with no difficulty, regardless of the condition of the road and/or weather. There are 4x4 motorhomes for sale Australia can count on. Built in Redcliffe, Queensland, Explorer Motorhomes is the company that prides itself on providing luxury, quality motorhomes Australia wide. The new ground breaking Discovery Motorhome! A look at the latest press reports & editorials from leading industry publications. We love hearing from our owner’s about their travels & adventures in their Explorer 4WD Motorhomes. First a big thank you to John, David, Luke and the team for an enjoyable, satisfying experience in investigating and purchasing our new motorhome. From our first enquiries, first visit, and then a very comprehensive delivery experience, we felt welcomed and personally considered, so thank you once again. We realise more and more that the Discovery is a unique vehicle in the RV industry, and in speaking with David, and our growing appreciation of this unique vehicle, we would encourage Explorer to really promote this unique design. In our 3 ½ day journey back to Temora, we really appreciated many areas of the Discovery. The ride quality with the rear tandem axle system greatly smooths the ride on our increasingly stressed road system, but we have not had an opportunity yet to experience our real purpose for the vehicle which is the dirt outback roads of Australia.